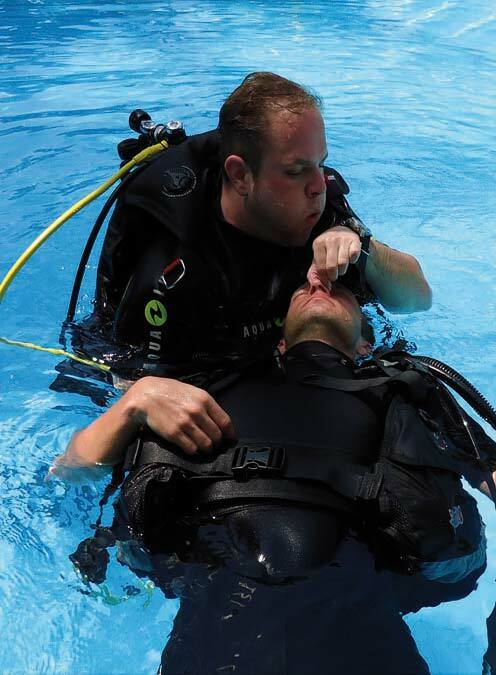 In the Rescue Diver Training Course you will learn about diving accident management, practice self-rescue scenarios and learn how to consider the safety and well-being of other divers. 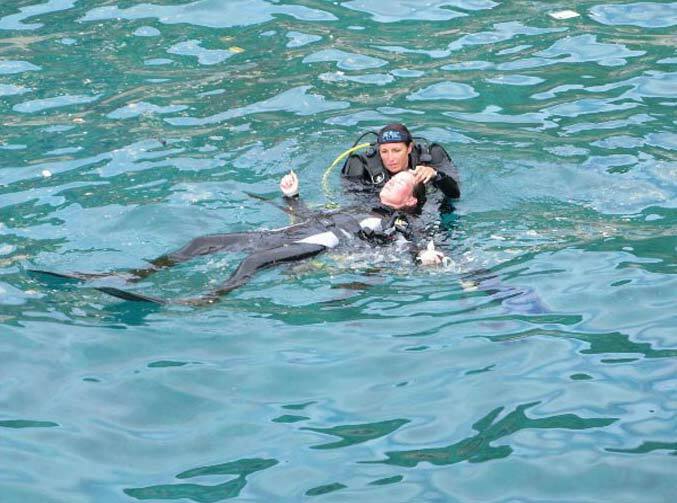 You will learn how to respond to diving emergencies in a safe, appropriate and competent way. This course is divided into three sections. 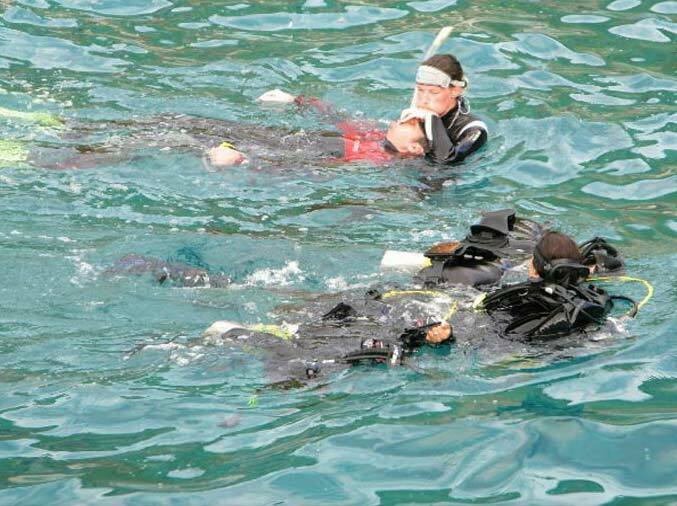 Upon building up your theoretical knowledge together with your instructor you will train with rescue exercises in the pool and finally complete your Rescue Diver Course with evaluating rescue scenarios in open water. The course is designed to be demanding, though realistic in its conduct, content and approach. 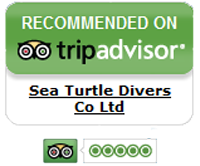 Most students feel that this course is the most valuable course in their diving training. Towing and giving rescue breaths.